Link to the entire 6-8 grade standards. Science education includes three dimensions of science understanding: science and engineering practices, crosscutting concepts, and disciplinary core ideas. 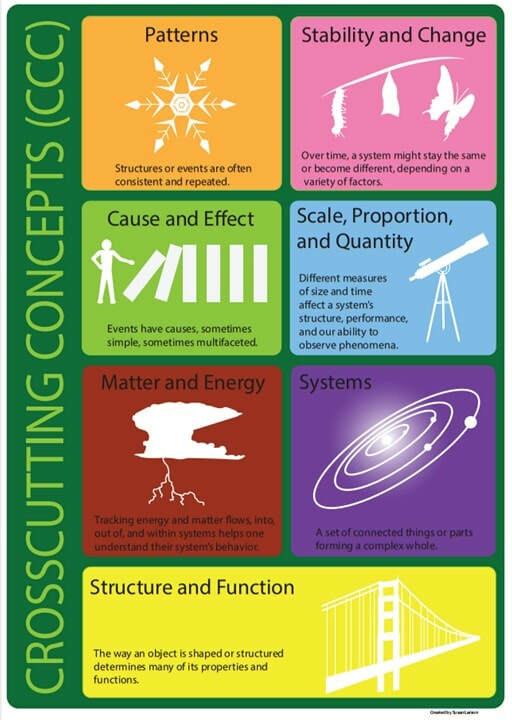 Every standard includes each of the three dimensions; Science and Engineering Practices are bolded, Crosscutting Concepts are underlined, and Disciplinary Core Ideas are in normal font. Standards with specific engineering expectations are italicized. The Utah SEEd standards are organized into strands, which represent significant areas of learning within content areas. Within each strand are standards. A standard is an articulation of the demonstrated proficiency to be obtained. A standard represents an essential element of the learning that is expected. While some standards within a strand may be more comprehensive than others, all standards are essential for mastery. Construct a scientific explanation based on evidence that shows that the uneven distribution of Earth’s mineral, energy, and groundwater resources is caused by geological processes. Examples of uneven distribution of resources could include Utah’s unique geologic history that led to the formation and irregular distribution of natural resources like copper, gold, natural gas, oil shale, silver, and uranium. Engage in argument supported by evidence about the effect of per-capita consumption of natural resources on Earth’s systems. Emphasize that these resources are limited and may be non-renewable. Examples of evidence include rates of consumption of food and natural resources such as freshwater, minerals, and energy sources. Analyze and interpret patterns of the occurrence of natural hazards to forecast future catastrophic events, and investigate how data are used to develop technologies to mitigate their effects. Emphasize how some natural hazards, such as volcanic eruptions and severe weather, are preceded by phenomena that allow prediction, but others, such as earthquakes, may occur without warning.